Unfortunately due to his modest nature, many iconic WW1 photographs have been attributed to (or even claimed by) the self-promoting Frank Hurley. For example, the famous photograph of dazed Australian soldiers walking the duckboards through Chateau Wood on 29 October 1917 has always been credited to Hurley, when in fact Hurley's diary reveals he was nowhere near Chateau Woods that day. When Sir John Monash was asked by the visiting American journalist Lowell Thomas (who had written Lawrence of Arabia and made him an international hero) if Australia had a similar hero, Monash replied "Yes, there was one. He was a highly accomplished and absolutely fearless combat photographer. What happened to him is a story of epic proportions. Wounded many times ... he always came through. At times he brought in the wounded, at other times he supplied vital intelligence of enemy activity he observed. At one point he even rallied troops as a combat officer ... His record was unique." After the war, Wilkins served in 1921–22 as an ornithologist aboard the Quest on the Shackleton-Rowett Expedition to the Southern Ocean and adjacent islands. Wilkins was the first recipient of the Samuel Finley Breese Morse Medal, which was awarded to him by the American Geographical Society in 1928. He was also awarded the Royal Geographical Society's Patron's Gold Medal the same year. In 1930 Wilkins and his wife, Suzanne, were vacationing with a wealthy friend and colleague Lincoln Ellsworth. During this outing Wilkins and Ellsworth hammered out plans for a trans-Atlantic expedition involving a submarine. Wilkins said the expedition was meant to conduct a "comprehensive meteorology study" and collect "data of academic and economic interest". He also anticipated Arctic weather stations and the potential to forecast Arctic weather "several years in advance". Wilkins believed a submarine could take a fully equipped laboratory into the Arctic. Ellsworth contributed $70,000, plus a $20,000 loan. Newspaper tycoon William Randolph Hearst purchased exclusive rights to the story for $61,000. The Woods Hole Oceanographic Institute contributed a further $35,000. Finally, Wilkins himself anted $25,000 of his own money. Since Wilkins was not a U.S. citizen, he was unable to purchase the 1918 submarine scheduled to be decommissioned. However, he was permitted to lease the vessel for a period of five years at a cost of one dollar annually from Lake & Danenhower, Inc. The submarine was the disarmed O-12, and was commanded by Sloan Danenhower (former commanding officer of C-4.) Wilkins renamed her Nautilus, after Jules Verne's 20,000 Leagues Under the Sea. The submarine was outfitted with a custom designed drill that would allow her to bore through ice pack overhead for ventilation. The crew of eighteen men was chosen with great care. Among their ranks were U.S. Naval Academy graduates as well as navy veterans of WWI. Wilkins was undaunted and drove on with preparations for a series of test cruises and dives before they were to undertake their trans-Atlantic voyage. Wilkins and his crew made their way up the Hudson River to Yonkers, eventually reaching New London, Connecticut, where additional modifications and test dives were performed. Satisfied with the performance of both the machinery and the crew, Wilkins and his men left the relative safety of coastal waterways for the uncertainty of the North Atlantic on 4 June 1931. Wilkins secretly felt that his mission was deliberately sabotaged by a crew member. Wilkins was determined to do what he could without the diving planes. For the most part Wilkins was thwarted from discovery under the ice floes. The crew was, however, able to take core samples of the ice, as well as testing the salinity of the water and gravity near the pole. Wilkins ended the first expedition to the poles in a submarine and headed for England, but was forced to take refuge in the port of Bergen, Norway, because of a fierce storm that they encountered en route. The Nautilus suffered serious damage that made further use of the vessel unfeasible. Wilkins received permission from the United States Navy to sink the vessel off shore in a Norwegian fjord on 20 November 1931. Wilkins became a student of The Urantia Book and supporter of the Urantia movement after joining the '70' group in Chicago in 1942. After the book's publication in 1955, he 'carried the massive work on his long travels, even to the Antarctic' and told associates that it was his religion. A species of Australian skink, Lerista wilkinsi, is named after him. ^ "Distance Mount Bryan East – Adelaide". Tripstance.com. Tripstance.com. 2013–2016. Retrieved 16 January 2016. ^ "Capt. Wilkins". The Observer (Adelaide). LXXXV, (4, 433). South Australia. 9 June 1928. p. 54. Retrieved 19 September 2016 – via National Library of Australia. ^ a b Mary, Trewby (2002). Antarctica: an encyclopedia from Abbot Ice Shelf to Zooplankton. Auckland, New Zealand: Firefly Books. p. 200. ISBN 1-55297-590-8. ^ "No. 31370". The London Gazette (Supplement). 3 June 1919. p. 6823. ^ Thomas, Lowell, Sir Hubert Wilkins: his world of adventurer, Readers Book Club, London, 1961, p.1. ^ "The Cullum Geographical Medal" Archived 4 July 2009 at the Wayback Machine. American Geographical Society. Retrieved 17 June 2010. ^ a b "Under the North Pole: the Voyage of the Nautilus, The Ohio State University Libraries". Library.osu.edu. 4 June 1931. Archived from the original on 7 November 2011. Retrieved 8 July 2014. ^ "Polar Sub Can Drill Through Ice", April 1931, Popular Science. Books.google.com. April 1931. Retrieved 2014-07-08. ^ "The Arctic Dive, Under the North Pole: the Voyage of the Nautilus". Library.osu.edu. 23 August 1931. Archived from the original on 21 February 2010. Retrieved 8 July 2014. ^ a b "Rediscovering the World's First Arctic Submarine: Nautilus 1931". 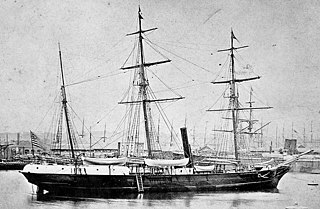 Ussnautilus.org. 1931-11-30. Retrieved 2014-07-08. ^ "Science: Wilkins Through". Time. 14 September 1931. ^ "The Nautilus Expedition". Amphilsoc.org. 1931-11-20. Retrieved 2014-07-08. ^ "What's My Line? : EPISODE #406". TV.com. Retrieved 18 December 2008. ^ Beolens, Bo; Watkins, Michael; Grayson, Michael (2011). The Eponym Dictionary of Reptiles. Baltimore: Johns Hopkins University Press. xiii + 296 pp. ISBN 978-1-4214-0135-5. ("Wilkins", pp. 285-286). Carl Benjamin "Ben" Eielson was an American aviator, bush pilot and explorer. Eielson Air Force Base in Alaska is named in his honor. Waldo Kampmeier Lyon was the founder and chief research scientist for the U.S. Navy of the Arctic Submarine Laboratory at the Naval Electronics Laboratory.